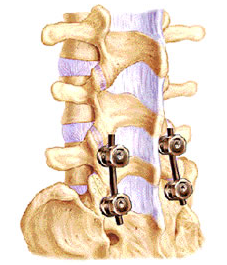 Is a posterior displacement of a vertebra. 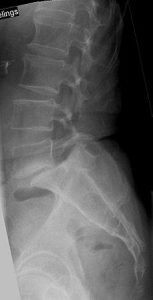 Back pain is the most common symptom of spondylolisthesis. 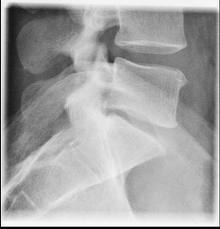 This pain is typically worse with activities such as bending and lifting, and often eases when lying down. 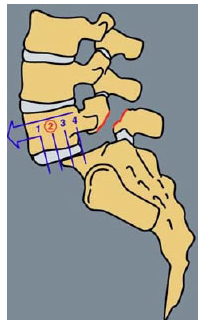 As the spine attempts to stabilise the unstable segment, the facet joints enlarge (hypertrophy) and place pressure on the nerve root causing lumbar spinal stenosis and lateral recess stenosis. 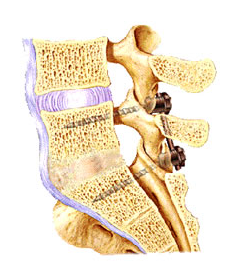 Furthermore, as one bone slips forward on the other, narrowing of the intervertebral foramen may also occur (foraminal stenosis). 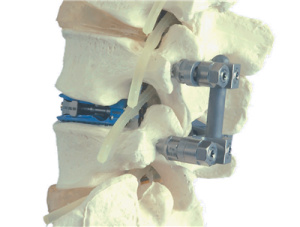 American Academy of Orthopedic Surgery. 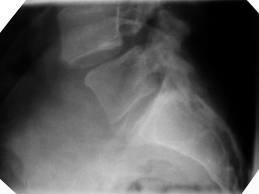 (n.d.). 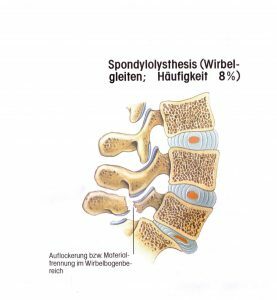 Spondylolysis and Spondylolisthesis.